Sorry its been sort of quiet on the blog lately, but I will say that I have been having the time of my life! I spent this whole weekend with the greatest girlfriends in the world. Short road trips, shopping, yummy food and coffee, music, and movies with Justin Timberlake. 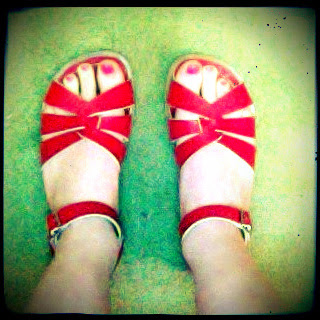 And to top the entire day off--I got my saltwater sandals in the mail today! So excited for summer and warmer weather now! Now this is what I would call a happy post.